Totally Off Topic but Very, Very Good. The band first made their mark on the music scene with their infamous ‘The Trouble’ music video which has since received over 90,000 YouTube views since it was aired. Since then they have released their critically acclaimed debut album Here She Comes-a-Tumblin’ in 2009 and the cathartic follow up, Bigger Teeth EP (produced by Marc R Norris of 80s Matchbox B-line Disaster) in 2010. The band have toured extensively in the UK, Europe and America, playing with other such musical oddities as The World Inferno Friendship Society, Thomas Truax and most recently worked with prestigious producer, Jason Rubal on their latest album Feast of Hammers which is due for release soon. If you’re looking for something dark, nasty and completely original, Birdeatsbaby have the potential to be one of those cult bands that only appear once in a lifetime. Let the music speak for itself. I have a slightly vested interest here, as it’s my cousin’s band, and I think they are FABULOUS. Their new video, “Through Ten Walls” is out today, the first single off the upcoming album Feast of Hammers. Take a look, and share it with your friends! If you'd prefer to shop on Etsy, click here. 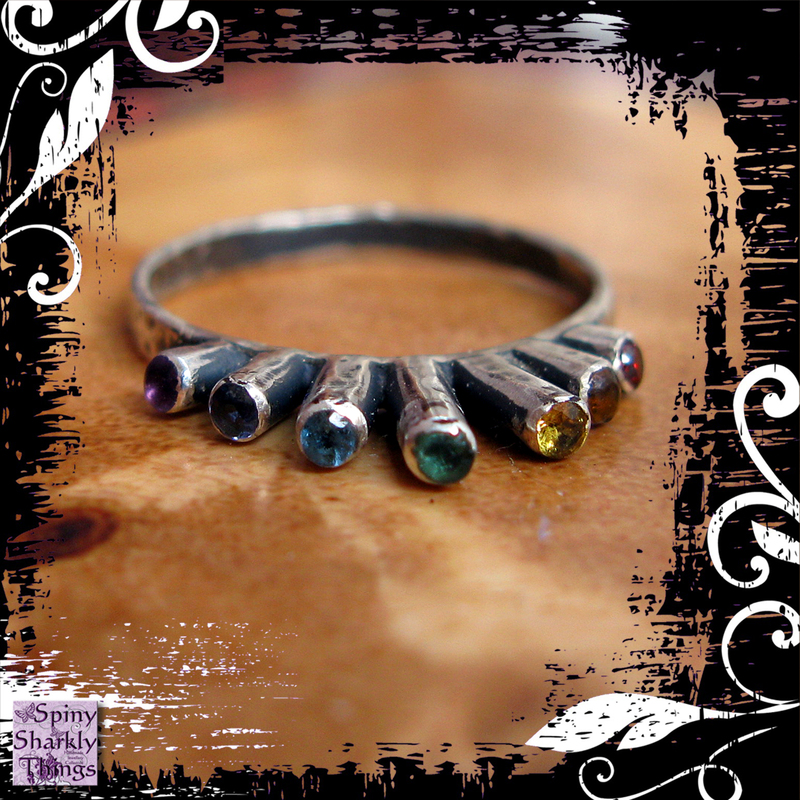 Garnet, Citrine, Yellow Sapphire, Emerald, Topaz, Sapphire & Amethyst Silver Ring.